Are you #TeamBourbon or #TeamRose´? 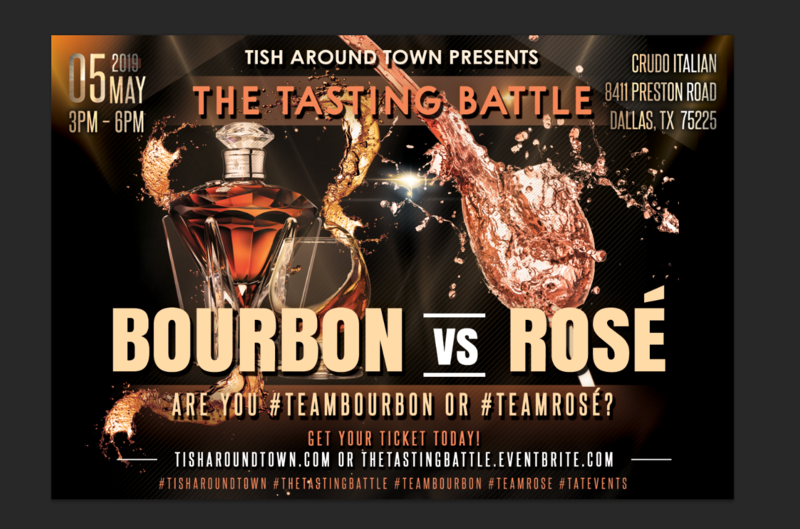 Please join me Sunday, May 5th for The Tasting Battle: Bourbon -vs- Rose´ to see who will be crowned the winner! What is The Tasting Battle? A fun and interactive tasting between two industry favorites, Bourbon and Rose´. You will pick #TeamBourbon or #TeamRose based on your drink of choice, or by selecting the drink you are interested in trying and leaning more about. Each guest will enjoy 3 tastings of Texas Bourbons, or 3 tastings of Rose´ wines from different regions while enjoying the perfectly paired bites. There will be spirit & wine specialists on hand to provide in-depth education on the history and how these drinks are made. You will leave The Tasting Battle with some additional knowledge, and a new appreciation for both Bourbon and Rose´. Click here to purchase your ticket! This entry was posted in Events and tagged Atlanta Blogger, Bourbon, Bourbon vs Rose´, Cocktail Tasting, Crudu Italian, Dallas, Dallas Blogger, Dallas Food Blogger, Dallas Food Event, Dallas Foodie, Food Blogger, Foodie, Rose´. 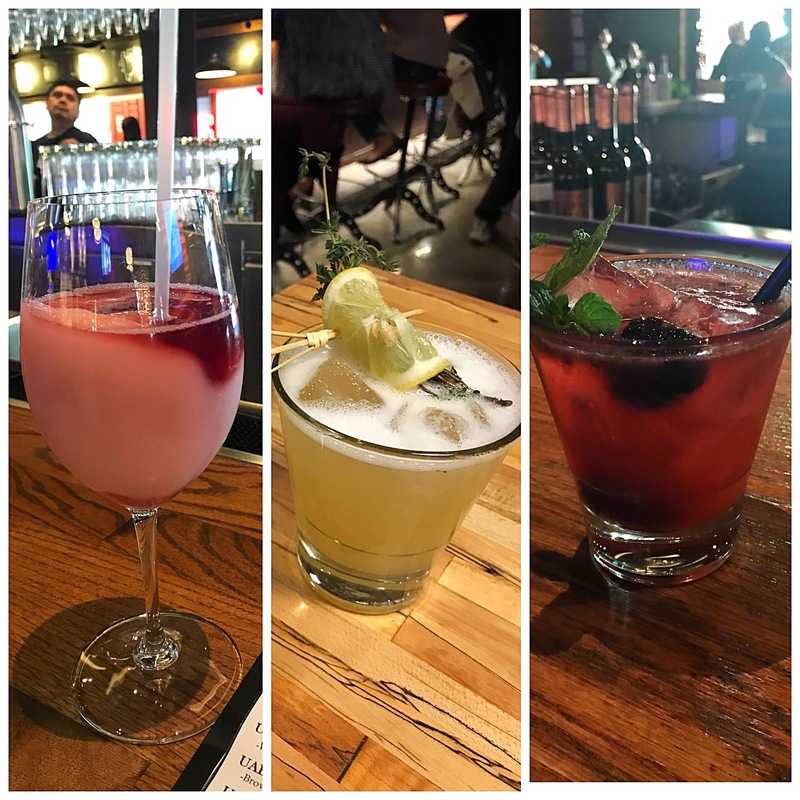 I had my first SWIG + NOSH event in Dallas over the weekend, and it was a total success! I am overwhelmed with joy to have my first event sell out. 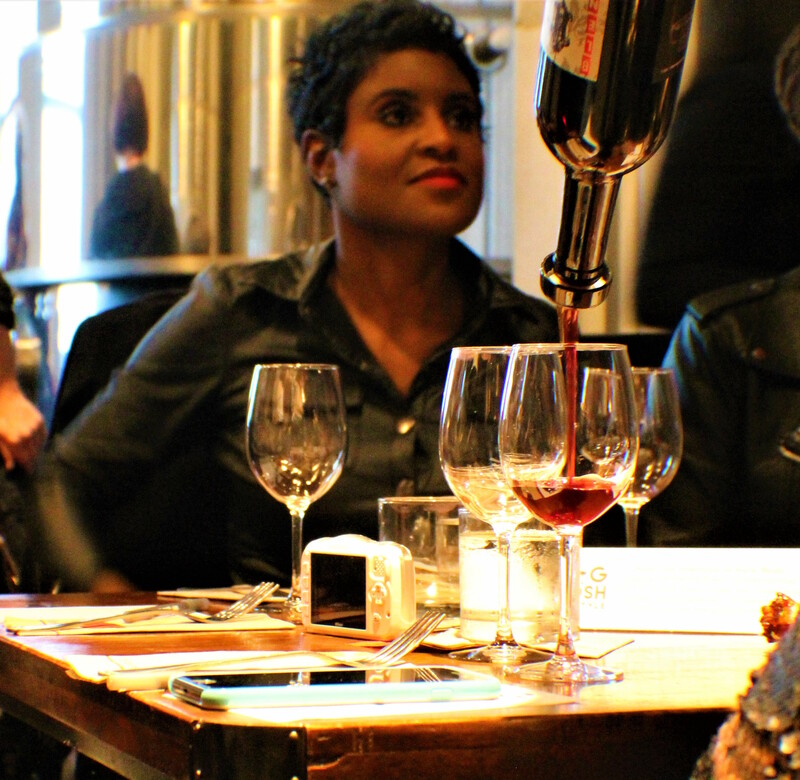 I planned the event to be a private and intimate wine pairing & tasting, centered around Times Ten Cellars Texas wines. 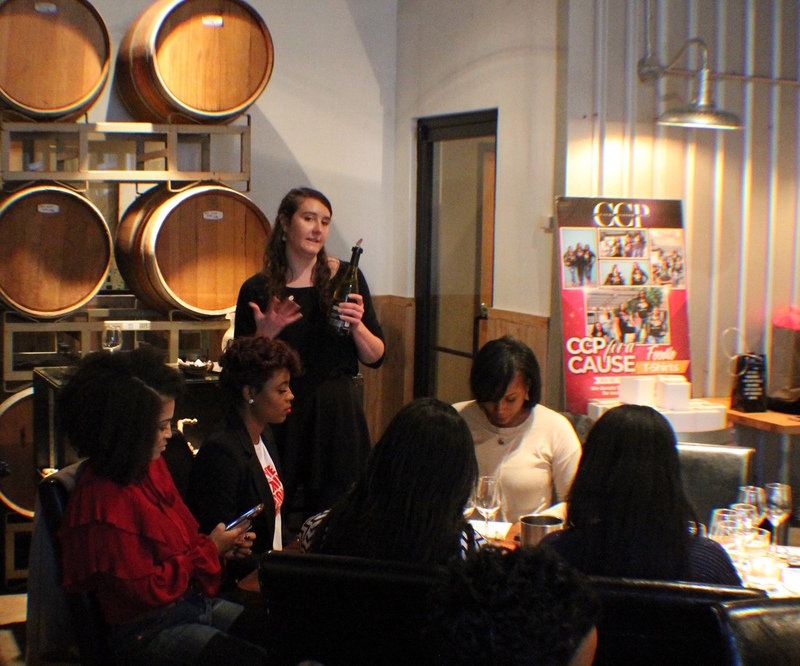 The event took place in the beautiful Tank Room at Times Ten Cellars, and it featured four tastings and food pairings, thoughtfully put together by Sommelier Cait Maxwell and Chef Joey. Both Cait & Chef Joey explained each wine and food pairing in detail. Cait also did an excellent job with educating the attendees on the history of Times Ten Cellars and how to taste wine properly. 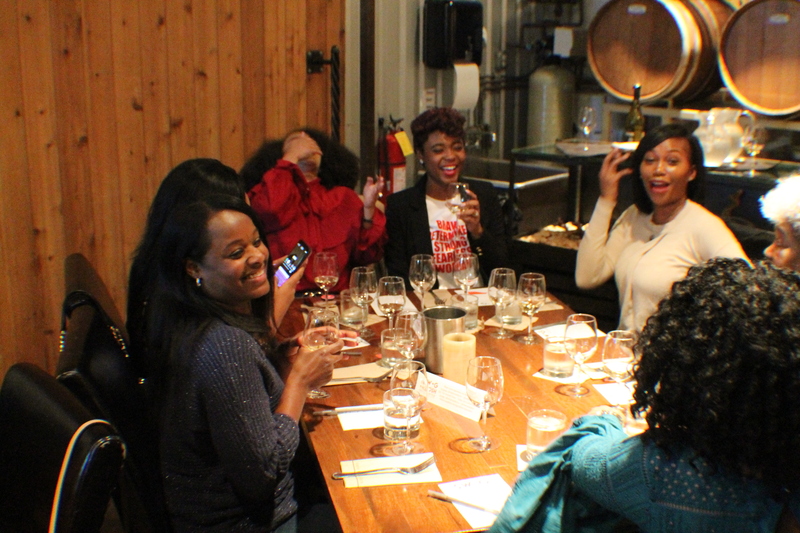 In the end, the attendees had learned the 4 S’s of wine tasting – SEE, SWIRL, SNIFF, and SIP, and were able to score each taste based on the appearance, aroma, body, taste and finish. 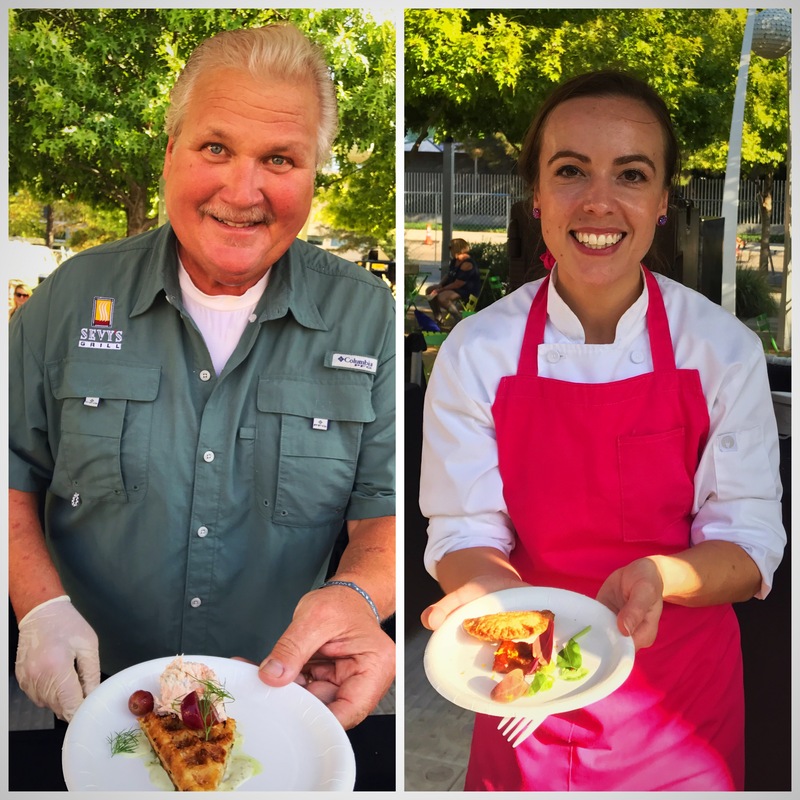 There was also a discussion on the current state of the Texas wine industry, and at the end of the event, attendees received a parting treat from one of our sponsors – The Cupcake Experience. 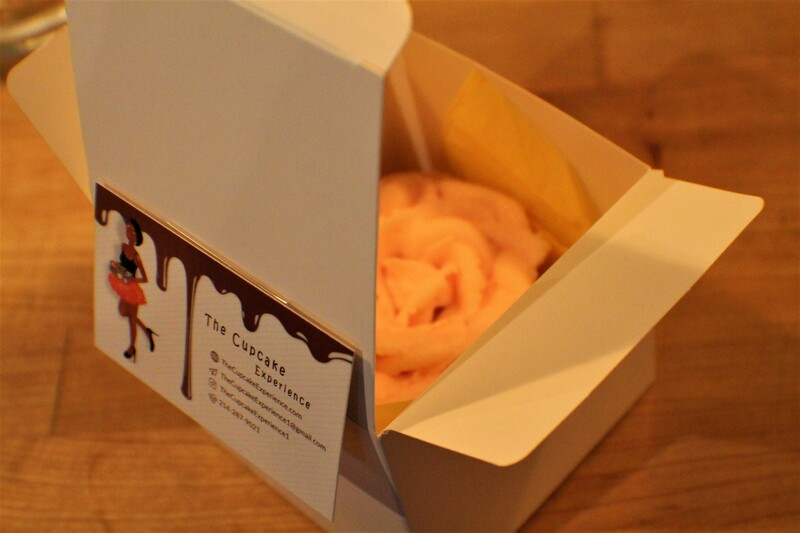 The treat was a cupcake infused with Times Ten Cellars Rose´wine, individually packaged for everyone at the event. There were also some fun giveaways and prizes given throughout the event. 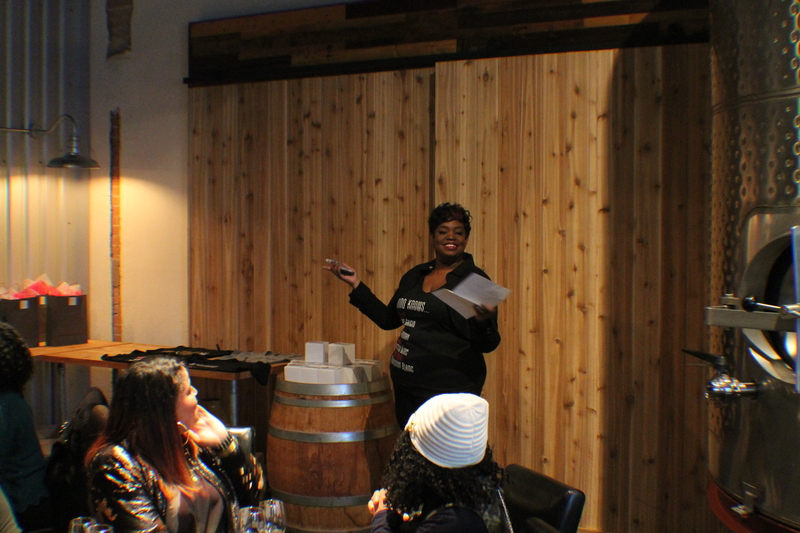 The next Tish Around Town event in Dallas will be in May. Get ready for THE BATTLE between a popular spirit and wine. Are you #TeamBourbon or #TeamRose´? Stay tuned to Tish Around Town for the details on upcoming events and trips hosted by yours truly. Big THANKS to everyone that attended, the sponsors, Times Ten Cellars, Cait, Chef Joey, and my brother, George, for taking amazing pictures of the event. SWIG + NOSH Attendees – Please leave a comment with your feedback about the event. 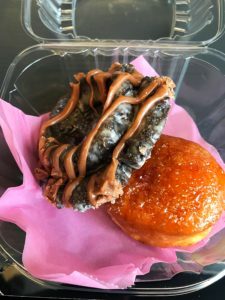 This entry was posted in Events and tagged Blogger, Cait Maxwell, Chef Joey, Dallas, Dallas Blogger, Dallas Food Blogger, Dallas Food Event, Dallas Foodie, Food Blogger, Foodie, My August Pink, NOSH, SWIG, SWIG+NOSH, The Cupcake Experience, Times Ten Cellars, Tish Around Town. It’s been a minute since I’ve reached out to you via the blog. I apologize for the eerie silence, and I promise I’ll make it up to you. Over the last year, I’ve been traveling to some of my favorite cities and simply enjoying life. I’ve also been focused on exploring the Dallas social scene centered around food and wine. However, in the last couple of months, I took some time off to reflect on the next steps for Tish Around Town and see precisely where I would best fit in the industry. 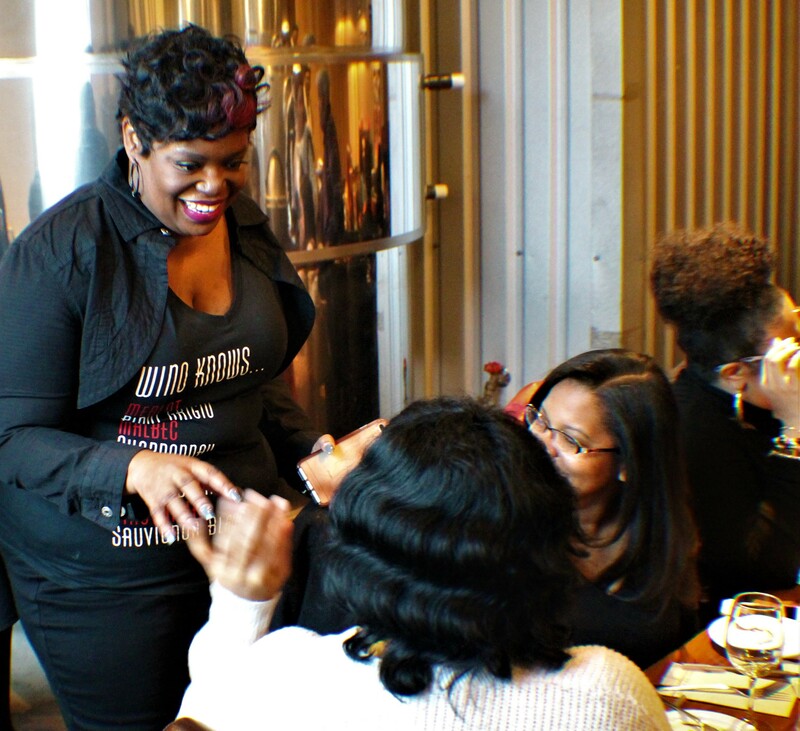 Tish Around Town has always been about sharing my thoughts and experiences related to food with my family, friends and followers. 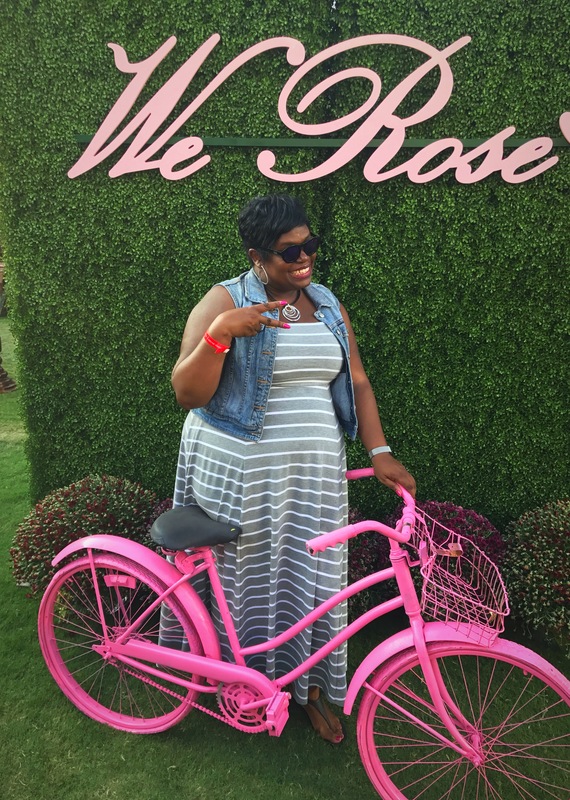 But now, I’m at a place where I want to take Tish Around Town to another level by hosting events and trips, with a focus on exploring and learning more about food and wine across different cultures around the world. 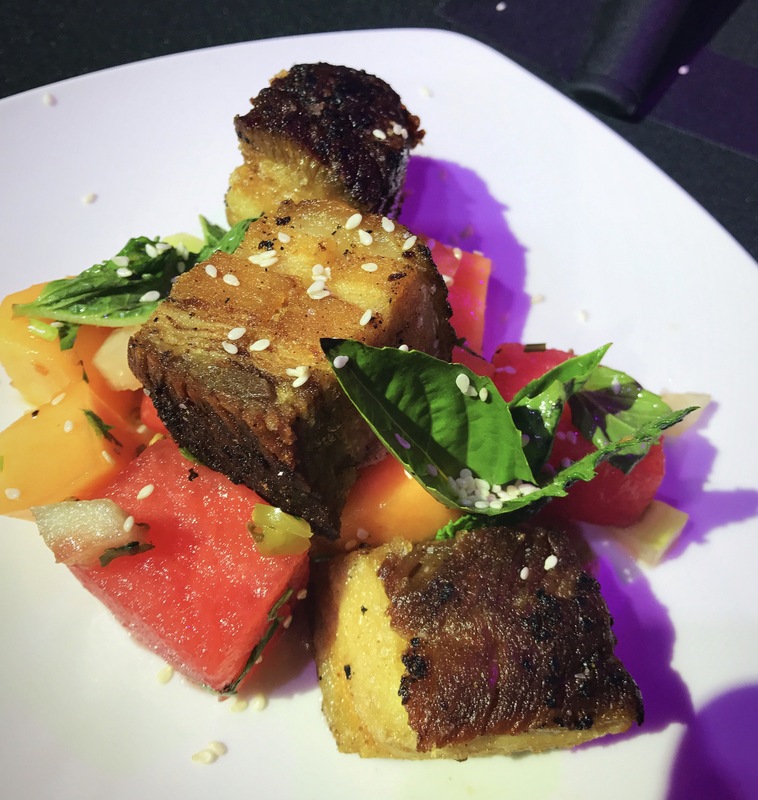 The plan is to host a variety of fun events and trips that’ll take your taste buds on a cultural and culinary journey while being educated by some of the best in the industry. 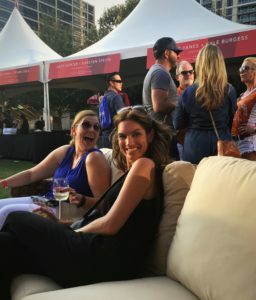 I will be hosting wine & cocktail tastings, supper club style dinners, food & wine festivals, and some other unique interactive events in Dallas and other cities…as well as out of the country. Tish Around Town is now going Around The World, so pack your bags and get ready to go on some tasty trips with me. First stop on the international journey is South Africa March 2020 (more details coming soon). 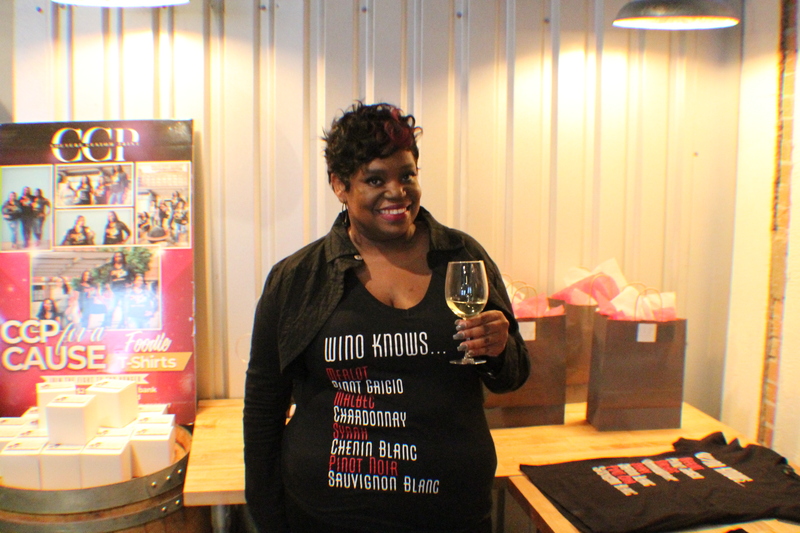 DALLAS, make sure you SAVE THE DATE for my 1st SWIG + NOSH: Texas Style Wine Pairing & Tasting scheduled for Saturday, March 2, 2019 at 2:30pm. Stay tuned to Tish Around Town, and don’t forget to subscribe to my mailing list to be the first to hear about upcoming events and trips. This entry was posted in Events, Tourist/Travel and tagged announcement, Atlanta, Atlanta Blogger, Blogger, Brunching Around Town, Dallas, Dallas Blogger, Dallas Food Blogger, Dallas Food Event, Dallas Foodie, Food Blogger, Foodie, Tish Around Town, Tourist, Travel Blogger. I’m re-launching a series I started on Tish Around Town called, Brunching Around Town. Brunch is my favorite meal of the week, so I try to make sure brunch is on my radar a few times a month. 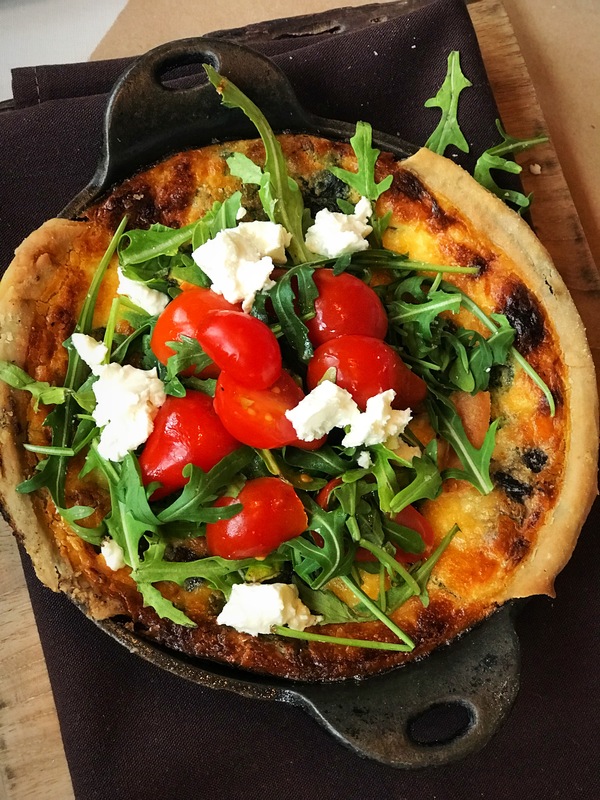 In the Brunching Around Town series, I will share some of my favorite brunch experiences locally in Dallas, Atlanta, and around the world. I decided to re-launch Brunching Around Town with Bolsa, a restaurant in the Bishop Arts District, which is located in one of Dallas’ most unique neighborhoods in Oak Cliff. The district is a close-knit community with several independent restaurants, coffee shops, bars, boutiques, art galleries, etc., that’s always buzzing morning, noon and night. So, I had the chance to choose from several restaurants offering brunch. I ended up choosing Bolsa and enjoyed every minute brunching there. Bolsa is a farm-to-table restaurant located in the western corner of Bishop Arts District. 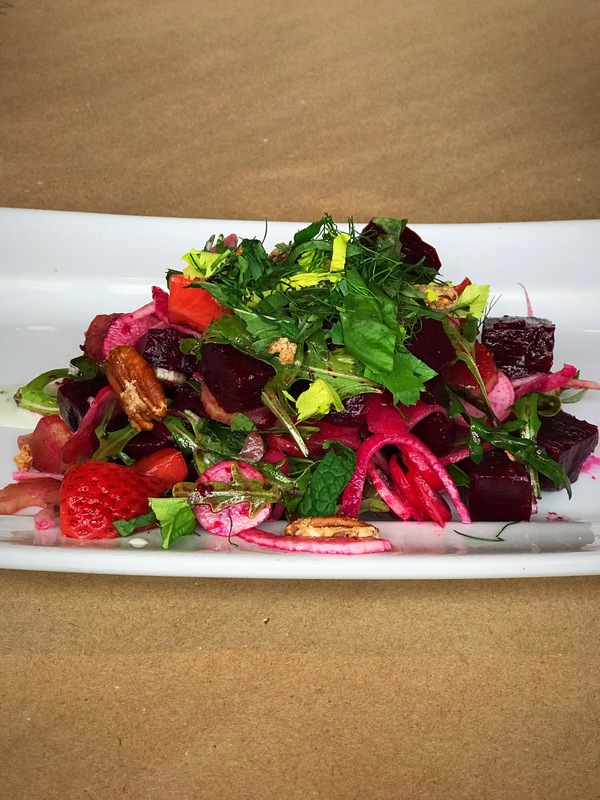 The restaurant offers healthy and appetizing meals made from the freshest ingredients sourced from local farmers and ranchers, and their dishes and cocktails are seasonally inspired. The restaurant building is quite unique – a renovated old garage with indoor and outdoor seating, and had a laid-back and rustic feel. In addition to its parking lot, the building is surrounded by plenty of street parking, so you won’t have to stress about looking for a parking space. My dear friend, fellow foodie and travel buddy, Kanika was in town visiting me for the weekend, so I was under a little pressure to pick a good spot for brunch. I yelped around, read a few articles, and then I settled on Bolsa. We made reservations early Sunday morning for noon, and we were seated as soon as we arrived. Our server, Andrea greeted us promptly, and she was fun and quite attentive through the entire meal. There were a variety of foods with numerous options to pick from on the menu. 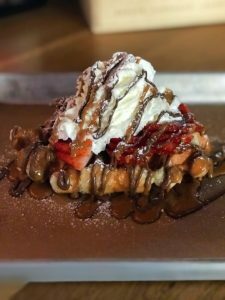 They had it all, from classic brunch dishes and original dishes to brunch cocktails, soups, salads, and flatbreads. I usually start off my brunch with one of my favorite brunch beverages; a Bloody Mary, Bellini, or Mimosa. This time, I had a mimosa. Bolsa’s mimosas come by the glass or by the bottle. The glass is priced at $5, and the bottle of Sparkling Wine is priced at $15 with your choice of juice orange, grapefruit, pineapple & cranberry. I usually enjoy the bottle option mimosas over bottomless because I can mix my own drink to my liking. We had a few others join us for brunch so we were able to try a few entrees off the menu. We ordered Steak and Egg Hash, Iron Skillet Quiche, Beet Salad and French Toast “Cakes”. 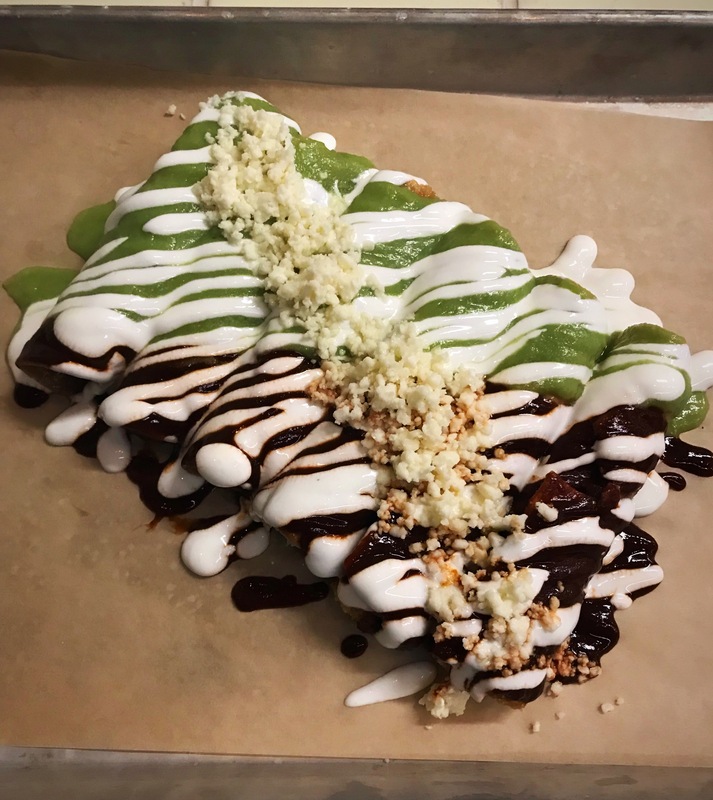 Bolsa has an open kitchen concept, which I absolutely love because it gives me the opportunity to engage with the chef, as well as see what looks good before ordering. 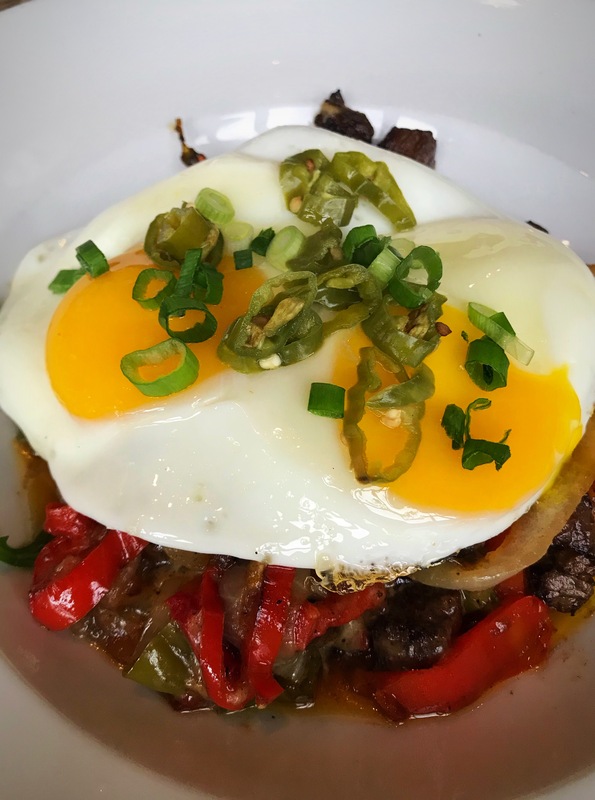 At Bolsa, I had the opportunity to see them prepare the steak hash, so I knew what I was having before I sat down. 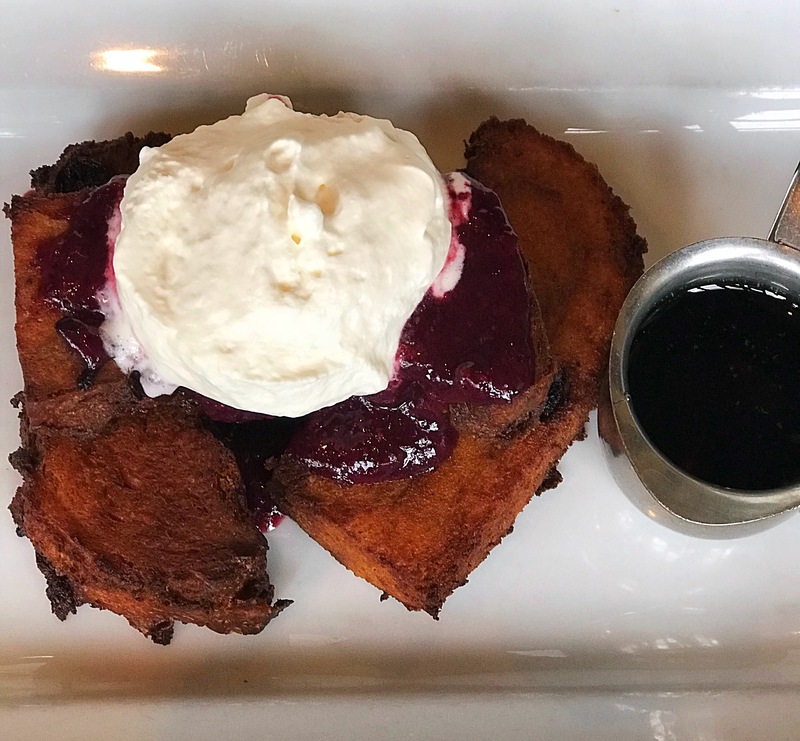 We loved everything we ordered and had a lovely time brunching at Bolsa. I will definitely be back for brunch, and I’m also planning to come back to try their prix fixe dinner. 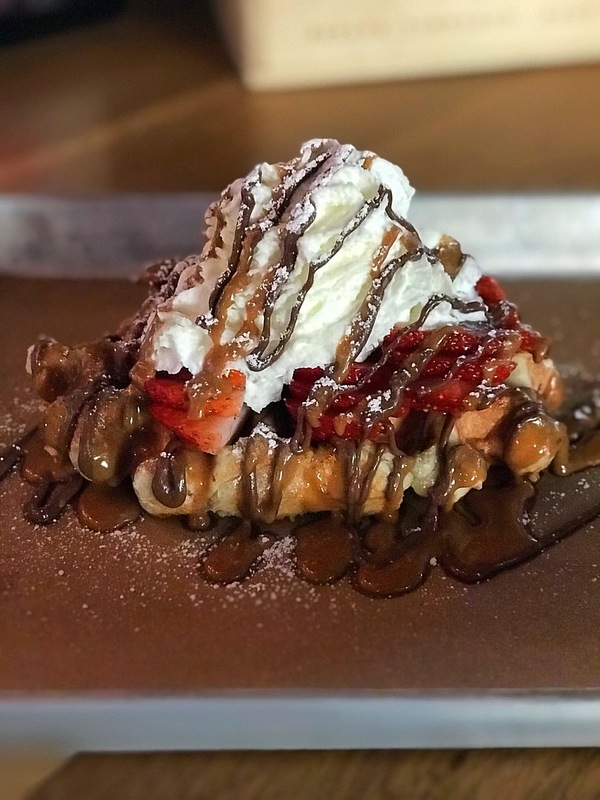 Where do you like to brunch at in the Bishop Arts District? This entry was posted in Food and tagged Beet Salad, Bishop Arts, Bishop Arts District, Blogger, Bolsa, Breakfast, Brunching Around Town, Dallas, Dallas Blogger, Dallas Food Blogger, Dallas Foodie, Farm to Table, Food Blogger, Foodie, French Toast, Mimosas, Quiche, Steak & Eggs, Tish Around Town. 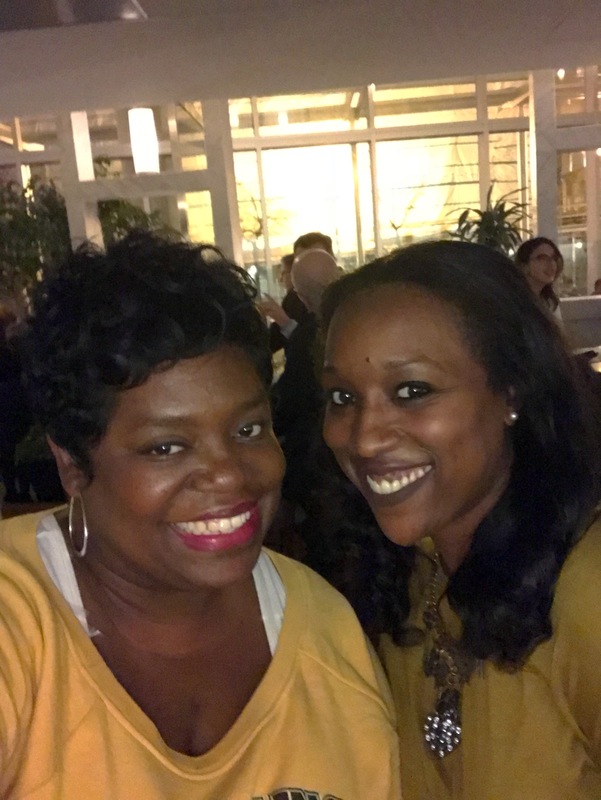 In this episode of the new series, Chat n’ Chew with Tish, I’ll be featuring Washington, DC Blogger, T-Mac from Fat Girl N’ Motion, who I met up with when I was on vacation in DC. I had a chat with her over dinner at Zaytinya, and it was an absolute delight. Fat Girl N’ Motion was gracious enough to let me select the restaurant for our blogger meetup, and I chose Zaytinya because it came highly recommended by a few of my fellow foodie friends and bloggers. I also wanted to try it out, before they opened their new location at The Star in Frisco, Texas. Zaytinya is one of Chef José Andrés numerous restaurants scattered all over the US and Mexico. Chef Andres is an internationally-recognized chef, culinary innovator, and owner of the ThinkFoodGroup. He is known for championing the role of chefs in the national debate on food policy and has a non-profit organization, World Central Kitchen, which empowers communities and strengthen their economies using the power of food. Chef Andrés was named one of “Time’s 100 Most Influential list” and has earned several awards including the “Outstanding Chef” award by the James Beard Foundation and the 2017 Lifetime Achievement Award from International Association of Culinary Professionals. Zaytinya, which opened in 2002, is a Mediterranean restaurant, and I love Mediterranean food and the culture. 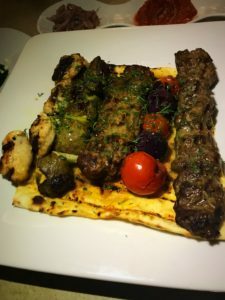 I usually go to more casual Mediterranean restaurants, so Zaytinya was a nice change for an upscale dining experience. The outstanding restaurant offers innovative food, which is inspired by Greek, Turkish and Lebanese cuisines. 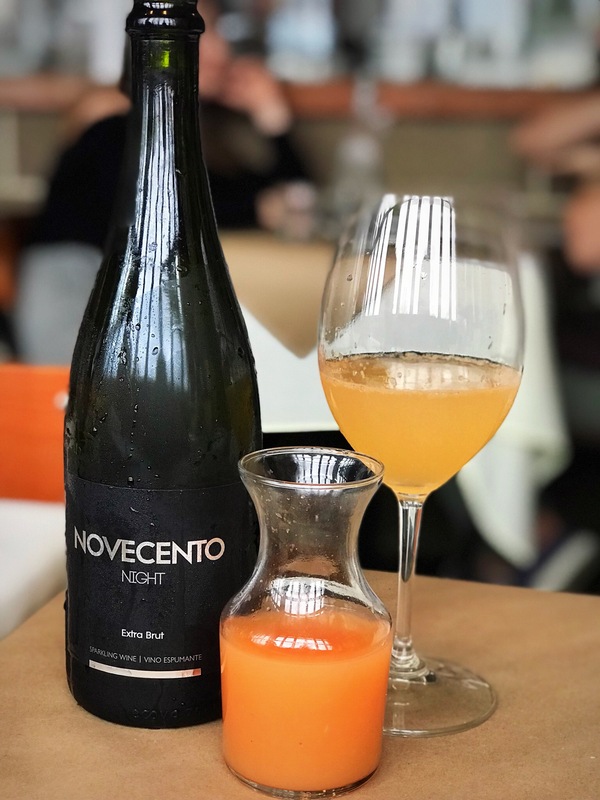 It is considered one of the top restaurants in Washington, consistently ranking as a Top Dining Destination in the city, and has earned numerous great reviews from the Washington Post and other publications. When we arrived, we decided to sit at the bar, and we were immediately attended to by the bartender, Camila, who was attentive and delivered impeccable service. She walked us through the menu, gave us great suggestions and helped us pick our meal. The menu featured excellent cheeses and spreads, seafood, poultry, beef, vegetables, creative desserts, and more, as well as unique Mediterranean wines, cocktails, coffee and tea. 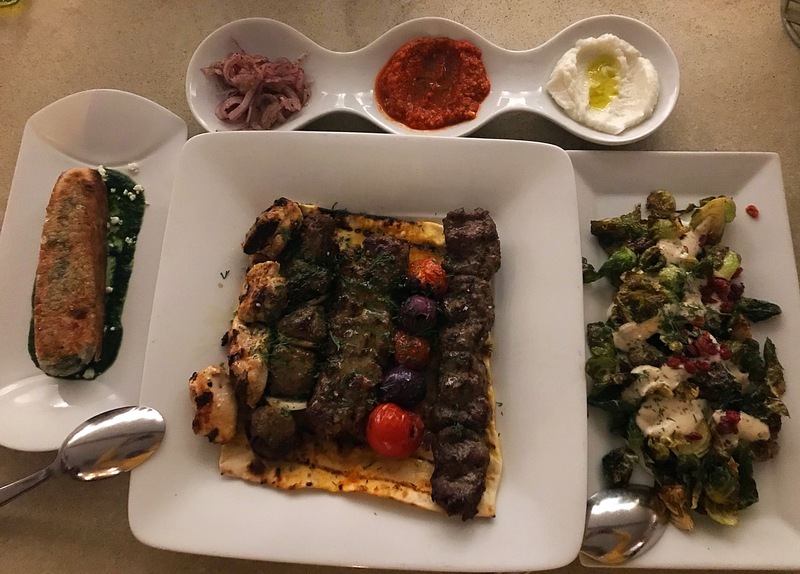 We settled on the Kabob Tasting Sampler, Crispy Brussels, and Spanakopita (Greek Spinach Pie), all of which were delicious. After dinner, we asked Camila if we could meet the head Chef. I was secretly wishing that we would luck up and Chef Andrés would be around and available as well, but no luck. Anyway, Chef Michael Costa, the head chef of Zaytinya in DC, was available and was so gracious to come meet us. He also gave us a dish to try from his private six-course dinner he was preparing that night – a one of a kind six-course meal with a 90lb Tunis Sheep featuring meat from the entire sheep and paired with wines selected by Master Sommelier Andy Myers. Tish Around Town Tip (#TATTip): Zaytinya is popular with the locals and travelers, so if you are planning to go during the peak dining hours, I strongly suggest you make reservations. Dinner with Fat Girl in Motion was utterly fun. Our conversation flowed seamlessly, as though we were old friends catching up. We chatted about how she got started blogging, the DC food scene, favorite foods and restaurants, and so on. See the below Q&A to learn more about Fat Girl N’ Motion. Tish: Where are you from, and how long have you been living in DC? Fat Girl N’ Motion (FGM): I’m a native of Washington, DC. I’ve lived here for over 30 years. Tish: How long have you been blogging? FGM: I’ve been blogging for a couple of months – 6 months. I started in July 2017. Tish: What inspired you to start your blog? FGM: I was inspired to start a blog by my fellow foodie friends, who often asked me several foodie questions like, “Where did you get that meal from the other day?” or “Where can I go for the best brunch/happy hour?” I tend to keep this level of detail to myself depending on who’s asking. However, I came up with the idea to create a blog, so my foodie friends can stop asking these questions and alert restaurateurs/owners/staff of the industry the diner’s experience, either good, bad, or indifferent! Tish: When did your love affair with food start? FGM: My love affair with food started post-college years. Tish: What is your favorite restaurant in DC and why? 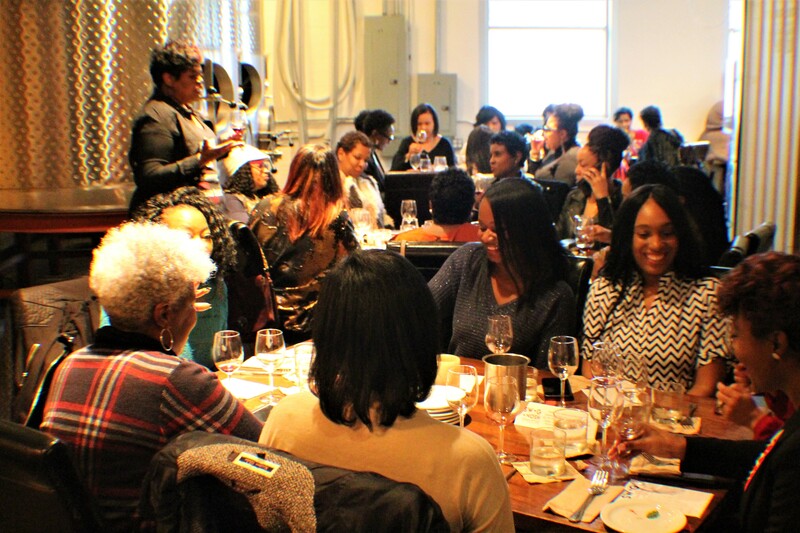 FGM: My favorite restaurant is Matchbox, which opened in 2006 and now has nine locations in the DC metro area. Consistency is key when running a restaurant, and Matchbox has been able to stay consistent. Although they’ve changed their menu countless times, their authenticity has remained the same since they opened years ago. I, especially love their juicy Porcini Rubbed Ribeye entrée. You can check out my blog for the delicious details of my experience at Matchbox. Tish: Tell me a little about you, and your blog. FGM: Okay. 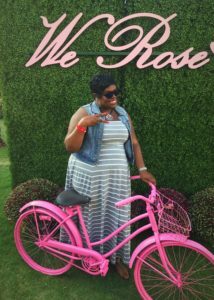 My blog name is Fat Girl N’ Motion, and I’m just a fat girl who loves food, not a cook or critic. Watching a lot of Food Network programs inspired me to step out of my comfort zone and start to try out several dishes. I used to just post about my food experience on my social media profile until I started my blog. My blog helps me document and share my foodie experience. 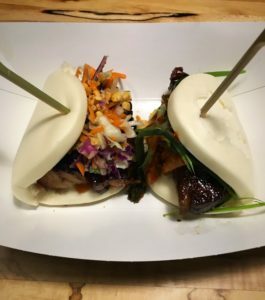 When I go to a new restaurants or try a new foods, I try to understand what/why I like the food while enjoying its comfort and then document it on my blog. I also have reviews of my favorite restaurants on my blog. Thanks Fat Girl N’ Motion! See you next time I’m in DC for another fabulous dining experience! Make sure you check out one of Zaytinya locations in Washington, DC, and now open at The Star in Frisco, TX. This entry was posted in Food and tagged Dallas, Dallas Blogger, Dallas Food Blogger, Dallas Foodie, DC, Downtown DC, Fat Girl in Motion, Food Blogger, Foodie, Frisco, Frisco Texas, Jose Andres, Michael Costa, The Star at Frisco, Tish Around Town, Washington, Washington DC, Zaytinya. 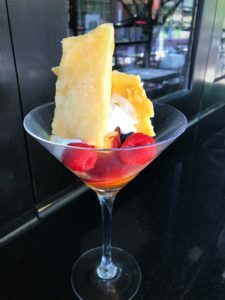 I found my Foodie Heaven in Dallas at Legacy Hall, the newest addition to Legacy West in Plano. The hall, which opened in December 2017, is the first of its kind in North Texas, and like many other Texans, I had been anticipating the opening since I first read about it. 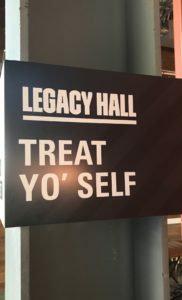 Legacy Hall is a European theme food hall that has over 30 unique food and beverage stalls offering cuisine from all over the world. It also has an in-house brewery and multiple bars, which serve specialty cocktails and craft beers. The restaurants in the hall are miniature versions of existing and new concepts from some well-known local chefs. 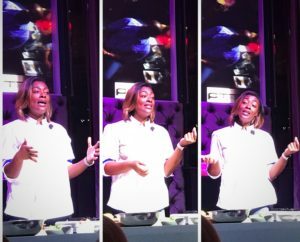 Chef Tiffany Derry from Bravo’s Top Chef serves her famous Duck Fat Fried Chicken with some other savory dishes at Roots Chicken Shak. Another local favorite, Celebrity Chef John Tesar from the acclaimed steakhouse Knife, who is a four-time James Beard semifinalist, also serves his famous burgers at Knife Burger in the Legacy Hall. In addition to everything situated within the Legacy Hall, an outdoor venue called The Box Garden is under construction, and is scheduled to open Spring 2018. The Box Garden, will host live music, festivals, concerts, and other outdoor events. 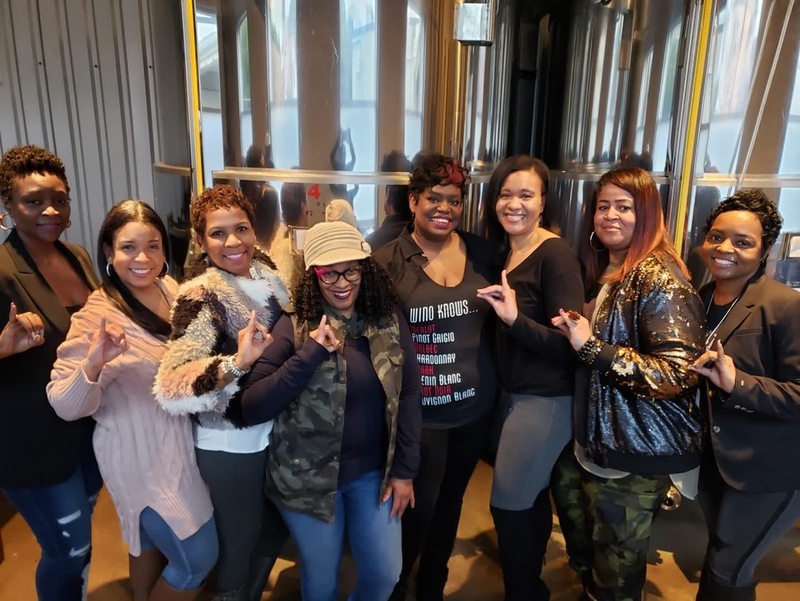 Bring a foodie buddy or come with a group – Bringing a foodie buddy is highly recommended so that you can share and try more things during your visit. 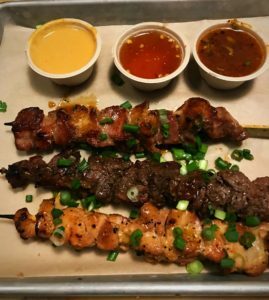 This will allow you to enjoy our own international smorgasbord. Bring your credit/debit card – The stalls at the food hall are cashless, so you have to pay with a credit/debit card or a Hall Pass. You can bring cash, but you will have to load it to a Hall Pass that can be purchased at a kiosk at the hall. Come with an open palate – The variety of cuisines in the food hall gives you the opportunity to try a variety of international dishes along with some American favorites. China, Italy, India, Japan, Mexico and beyond are all represented in the hall, so come prepared to try them all. Walk around before deciding on a meal – Make sure you take a lap around the hall before picking your meal. You can easily mix and match items from multiple stalls to create the perfect meal and enhance your experience. 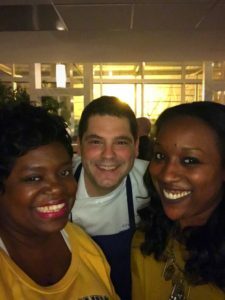 Note: Make sure you checkout my blog on my fun cooking experience with Chef Derry – Cooking & Cocktails with Chef Tiffany Derry! 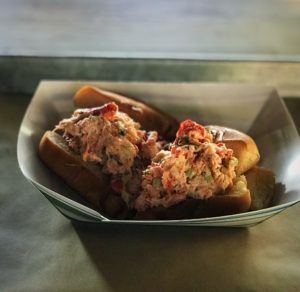 Have you been to the food hall? If so, tell me what you think and what food you tried. This entry was posted in Food and tagged Blogger, Dallas, Dallas Blogger, Dallas Food Blogger, Dallas Foodie, Enter The Bao, FaQ's, Food Blogger, Foodie, Glazed Donut Works, Legacy Food Hall, Legacy Hall, Main Bar, Plano, Press Waffle Company, Red Stix Yakitori & Banh Mi, Root's Chicken Shack, Sea Breeze Lobsta & Chowda House, Tish Around Town. So, I had the opportunity to attend the event Park & Palate Grand Taste. 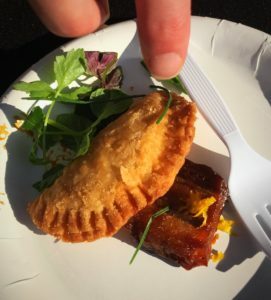 I had run across the event on Facebook, and it piqued my interest because it was being described as one of the hottest culinary events in Dallas. That’s a pretty bold statement, so I had to go check it out. 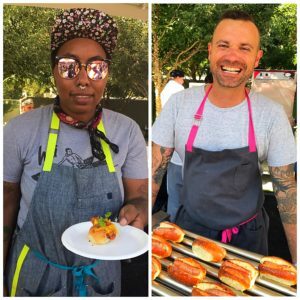 Park & Palate is the annual fundraiser for Klyde Warren Park that showcases the region’s most popular chefs, as well as wineries and spirits from around the world. The two-day culinary event had a unique theme – “Pillars and Protégés,” which featured well known pillar chefs and up-and-coming protégés making collaborative dishes to showcase. 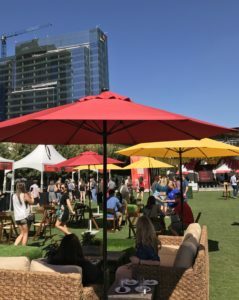 The event was held at Klyde Warren Park in downtown Dallas, which is 5.2 acres of urban green space built over the Woodall Rodgers Freeway. It’s a beautiful park with a lot of fun activities and great views of the city skyline, and the perfect backdrop for this event. Attending the event allowed me to kill two birds with one stone because visiting this park was on my Dallas To-Do List. 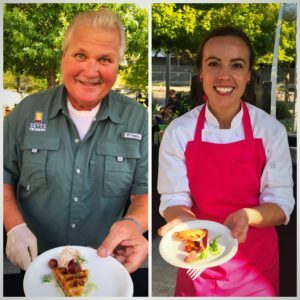 The event kicked off Friday night with, “Down To The Root,” which featured two chefs, a pillar and protégé, from each major city highlighting the best of Texas cuisine. The night was also filled with live music and dancing. I attended the Saturday afternoon event, “Grand Taste,” which featured more than 60 chefs and 30 wineries, plus spirits, craft cocktails, and beer. My beautiful Mom was my foodie buddy for this event. The Grand Taste was from 2.pm – 6.pm so we arrived a little after 2.pm. TAT Tip: When attending a food festival, it is better to arrive on the earlier side so that you can get the majority of the tasting done before the crowd shows up. We first walked around to get the lay of the land, and then we started on our culinary journey. The majority of tastings were delightful and pleasing to our palates. You can tell the chefs took pride in working together to curate the perfect tasting for this event. 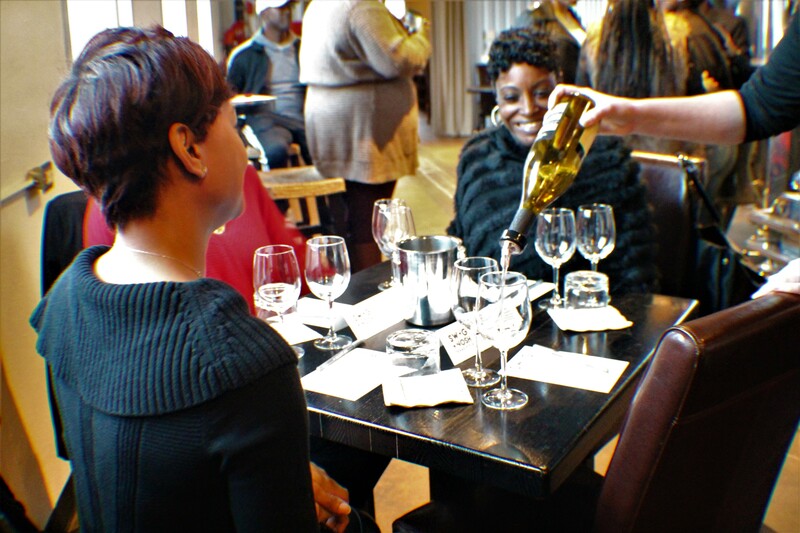 On top of the great food, there were also countless selections of wines and spirits to pair with the tastings. The entry process was easy, and there were also no long lines at stations. However, it was an unseasonable 90-degree day in October, so we had to take a few breaks to get out of the sun, and luckily there were plenty of cool seating under the trees and umbrellas. I, definitely, recommend this event, and it is now on my radar as an annual event I have to attend. 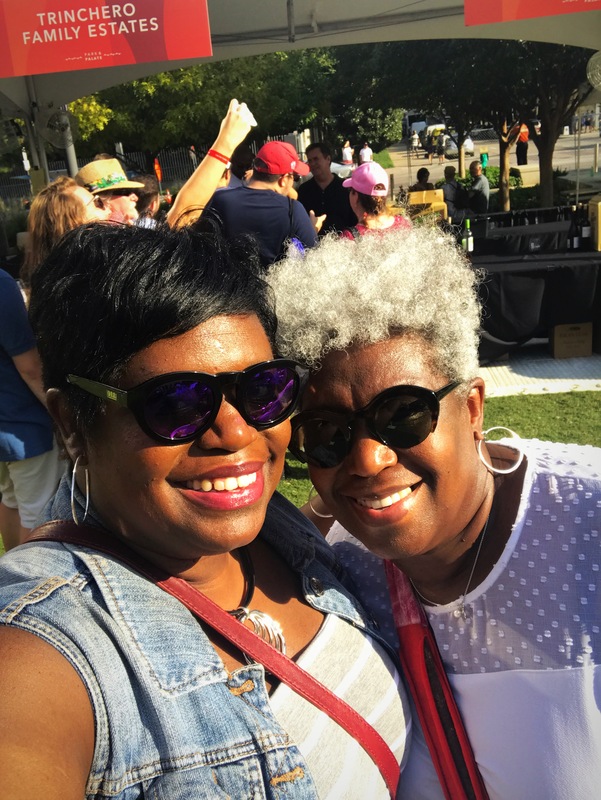 My Mom is a newbie to the foodie events but she had a blast, and she will also be back next year too. 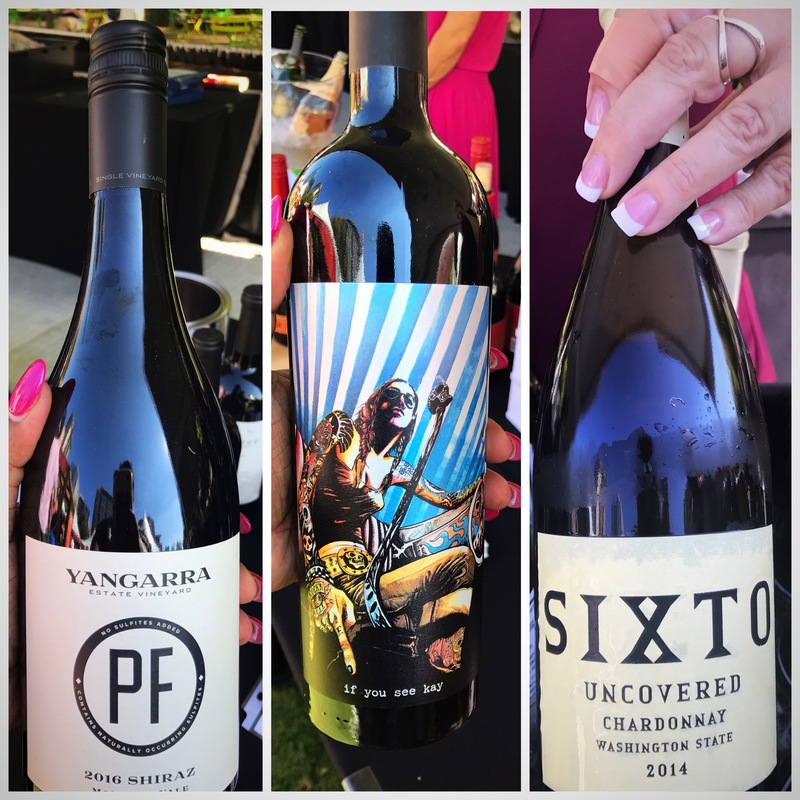 This festival is well worth the money for the quality of food, the portion sizes and the plentiful pours of wines and spirits. I have been to a lot of food festivals and foodie events, and this one ranks pretty high on the list as a new favorite. 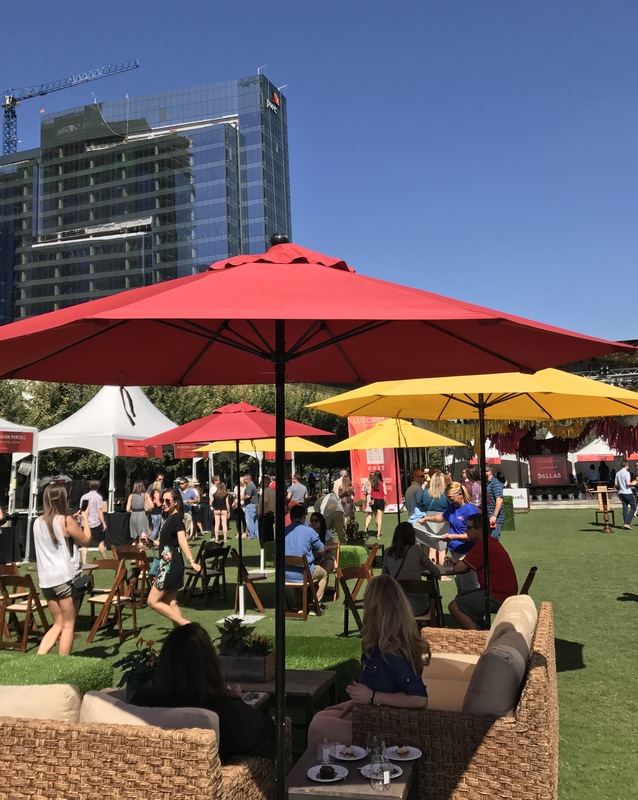 Don’t forget to sign-up for the Klyde Warren Park Newsletter, or follow them on Facebook, Twitter or Instagram to stay in the loop on the next Park & Palate, and all of the other fun events at the park. 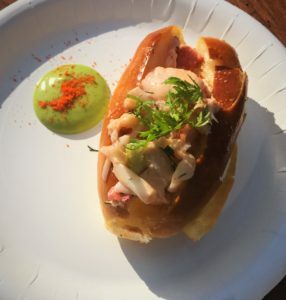 What are some of your favorite food festivals to attend in Dallas or other cities? I will travel for good food so I just might make a road trip! This entry was posted in Events, Food and tagged Blogger, Culinary, Dallas, Dallas Blogger, Dallas Food Blogger, Dallas Food Event, Dallas Foodie, Food Blogger, Food Event, Food Festival, Foodie, Klyde Warren Park, Park and Palate, Tish Around Town. Hey TAT Family! It’s been a minute since I posted a blog. I’m sorry, I’ve been AWOL. 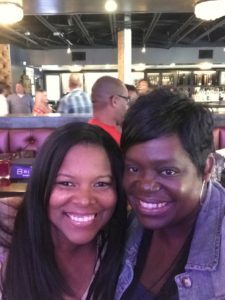 I recently moved back home to Dallas, TX to embark on a new chapter of life, and took a few months to get reacclimated to the city and explore the social scene. Anyway, I’m back now, and can’t wait to start exploring the tons of great restaurant and events in Dallas and sharing the details with you. Don’t worry TAT Atlanta family, you’ll definitely continue to see posts about Atlanta, as I will be back on a regular basis to see family and friends, and to attend some of my favorite events. So this summer, I had the opportunity to attend ‘Cooking & Cocktails – An Afternoon with Tiffany Derry’ hosted by RVC Promotions at The Brixton Shops at Legacy. The thing is I’ve been a fan of Chef Derry since her time on Bravo’s Top Chef Season 7 where she was voted “fan favorite” and also was among the final four in the season. Not only that, she was also a finalist on Top Chef: All-Stars. Over the years, I’ve also watched her on Bar Rescue and Hungry Investors on SPIKE TV. So, when I saw the post for this event, I knew I had to attend so that I could finally meet my Foodie Best Friend (in my head), and taste her food in a fun, intimate setting. The event was the perfect Saturday afternoon sharing good food, drinks, lots of laughs, and the opportunity to meet some new foodie friends. 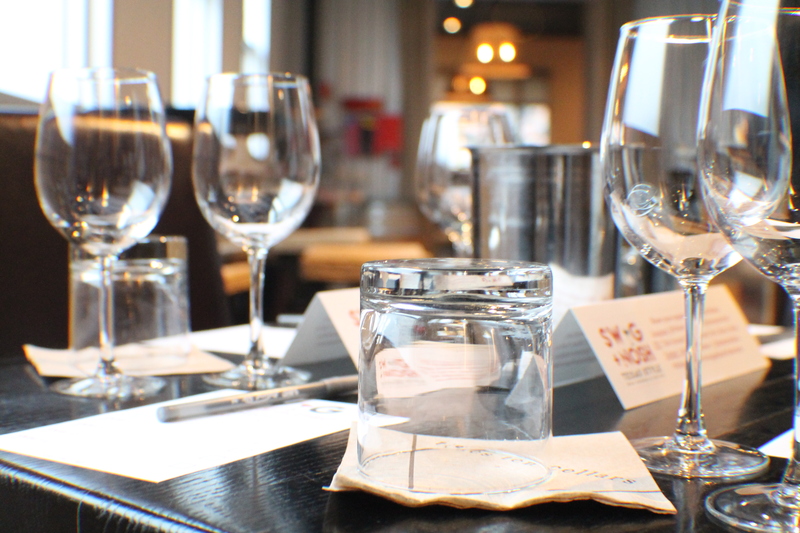 The event was a 3-course cooking class, with each course paired with a different cocktail. The class was very interactive, and Chef Derry did a great job walking us through the recipes in detail and answering questions from the audience. The recipes for everything she cooked were also given to us, so I will be trying some of these delicious dishes at home in the near future. Each course was simply amazing, and you can definitely taste Chef Derry’s Southern roots in her cooking. I enjoyed each course, but the second course was my favorite. 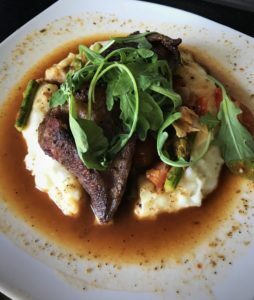 The beef short ribs were so tender and full of flavor, and I’m still dreaming about those mashed potatoes. My favorite drink served was the ‘Live and Let Rye’ from the second course. I have been expanding my cocktail palate by trying more dark liquor drinks, and this drink was a perfect combination of whiskey with a sweet chocolate undertone. The event was a reminder of my love for food and learning about food, and it gave me the inspiration I needed to get back to writing for Tish Around Town. If you enjoy trying different foods or love to cook, I strongly suggest you attend a cooking class and demonstration instructed by a chef. I have learned a lot of cooking tips and tricks during these type of classes over the years. Make sure you visit one of Chef Derry’s restaurants around Dallas. The Cupboard – Grab ‘N Go by Tiffany Derry is located in the Uptown Urban Market, and you can enjoy sandwiches & wraps, local artisan goods, salads and fresh sushi. 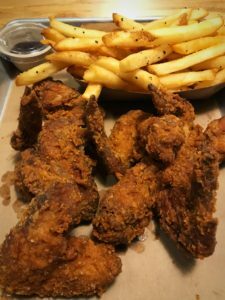 Also, checkout Root’s Chicken Shak located in Legacy Hall at Legacy West in Plano where Chef Derry is featuring dishes inspired by her mother’s Southern cooking. You’ll find her famous duck fat fried chicken on the menu along with some other savory dishes. 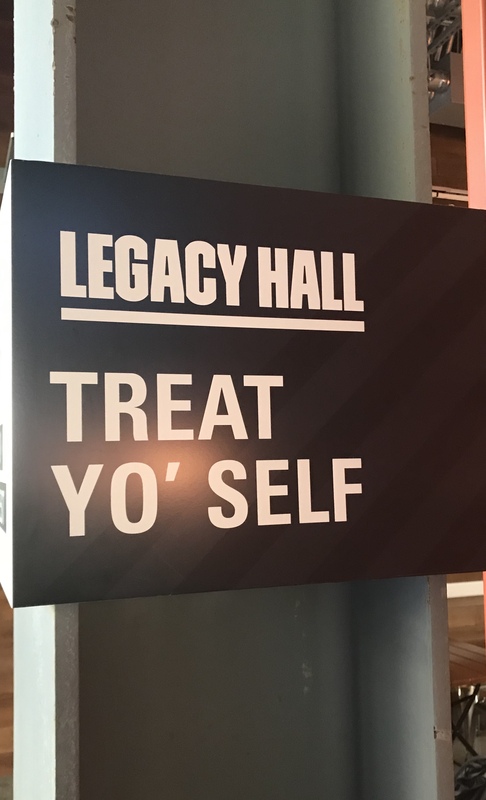 For more information on Legacy Hall, see my blog, Tish Around Legacy Hall – Dallas Premier Food Hall. Thanks, RVC Promotions for curating a great foodie event, and thanks to Western Son Distillery for the awesome drinks! 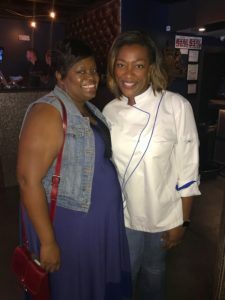 This entry was posted in Events, Food and tagged Blogger, Chef Derry, Chef Tiffany Derry, Dallas, Dallas Blogger, Dallas Food Blogger, Food Blogger, Foodie, Legacy Hall, Root's Chicken Shack, RVC Promotions, The Cupboard, Tiffany Derry, Tish Around Town, Top Chef, Western Son Distillery.